On a blustery day in Alberta, publisher Jenn Webster sat down with the 2018 Calgary Stampede Indian Princess, Cieran Starlight and chaperone, Holly Fortier. In a discussion that should have revolved solely around horses and western heritage, the women found their lives converging in unexpected reflection. Winning the title of Indian Princess means that Starlight has earned herself a very important role promoting Indigenous richness – not a beauty pageant. Her title is often called into question during her travels. Fortier is a Cree/Dene from Ft. McKay First Nation, Alberta, born in Treaty 7 Territory and is in the ripple-effect generation of Indigenous people who suffered firsthand from Canada’s Residential School policies. 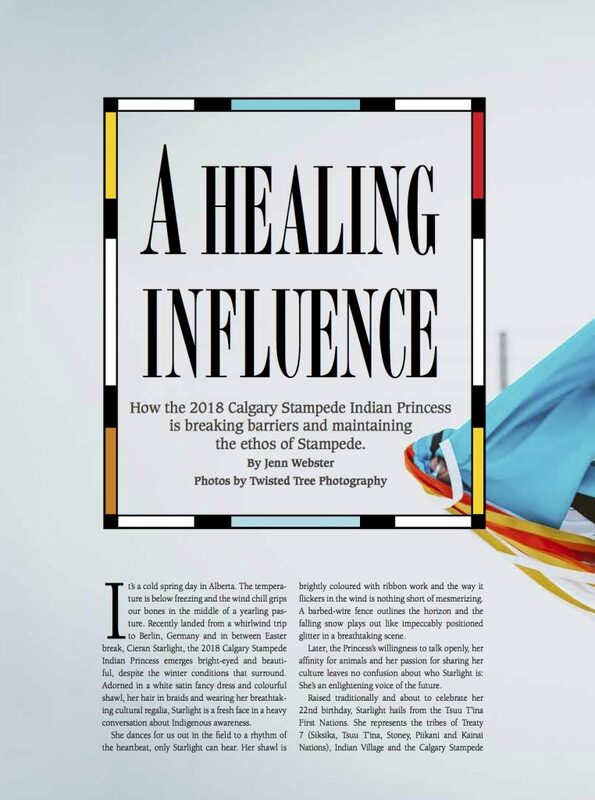 At the core of Webster’s writing is her unique ability to tell the stories of people and this important piece about Indigenous awareness proves Western Horse Review is more than just a horse publication. Sometimes, the most delicate discussions can yield extraordinary journeys.